I did not even know what else to call this post so just named it as “An Honest Smile” based on what really happened at that moment. I was recently on a road trip to Kashmir; and part of my itinerary was a little known place called Doodhpathri. It is about 45 kilometers away from the city of Srinagar and is famous for its scenic beauty. I was busy clicking away as many pictures as I could when I noticed a small girl walking across with her mother. 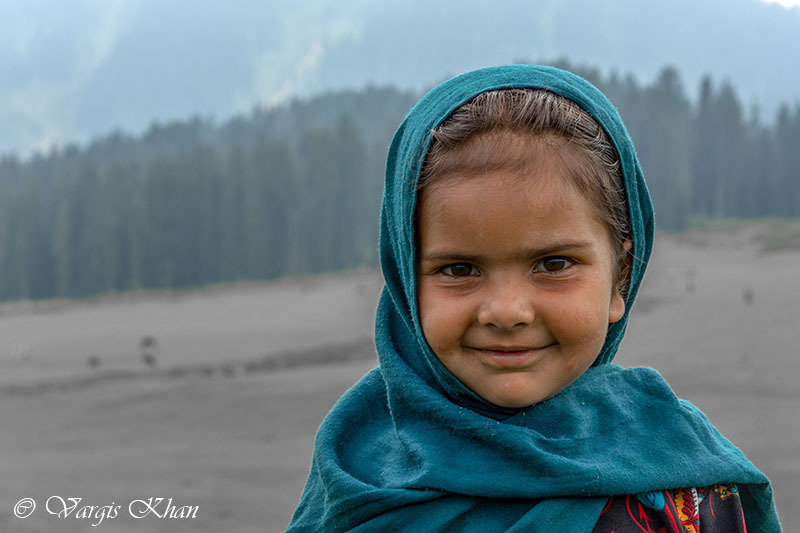 There are a lot of shepherds in this region in summer and this child too was daughter of some shepherd around. I asked her to stop for a minute so I could click a few pictures of her. I don’t know if she got scared or didn’t know what to do but the child just froze there. She did not mind getting her pictures click but stood there like a statue; with a look that almost made her seem angry at me for stopping her like that. Yes, I am talking about the picture below. I clicked a few pictures and then asked her to smile. At first she did not but then a few seconds later, looked towards her mother as if seeking her permission to smile. 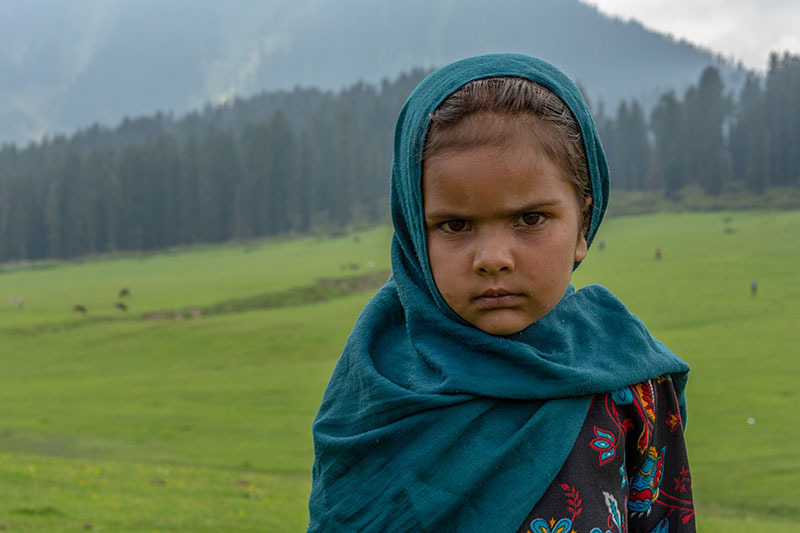 Her mother too nodded her head and said something in Kashmiri post which, the expression of the child immediately changed to the picture below. I immediately burst out in laughter. I mean I have never in my life seen such a drastic and sudden change in someone’s expressions. The best part was that it was all completely genuine. There was nothing fake about her angry confused look; and then there was absolutely nothing fake with her smile too. Her face just lit up in a second. All of us had a hearty laugh and I gave some money to the child; not only because they were poor but because for me, that change of expression and that smile was worth millions. Such a nice picture ! Reminds me of my own daughter !! Please let us know which camera u shoot this pic…?? ?